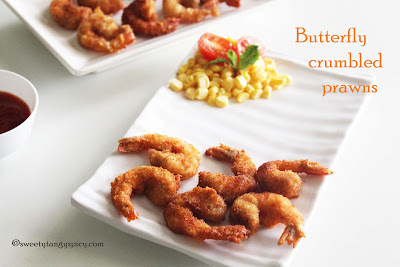 Butterfly crumbed prawns - Crunchy juicy prawn fritters. Yesterday my husband bought me this lovely juicy prawn fritters. Nothing to say, crunchy and yummy. We really loved it so much. So I decided to try, it comes out exactly like that. 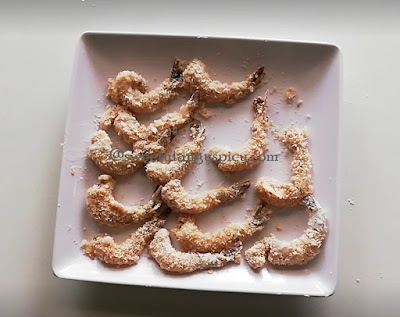 I am really happy to share this post, butterfly crumbled prawns. 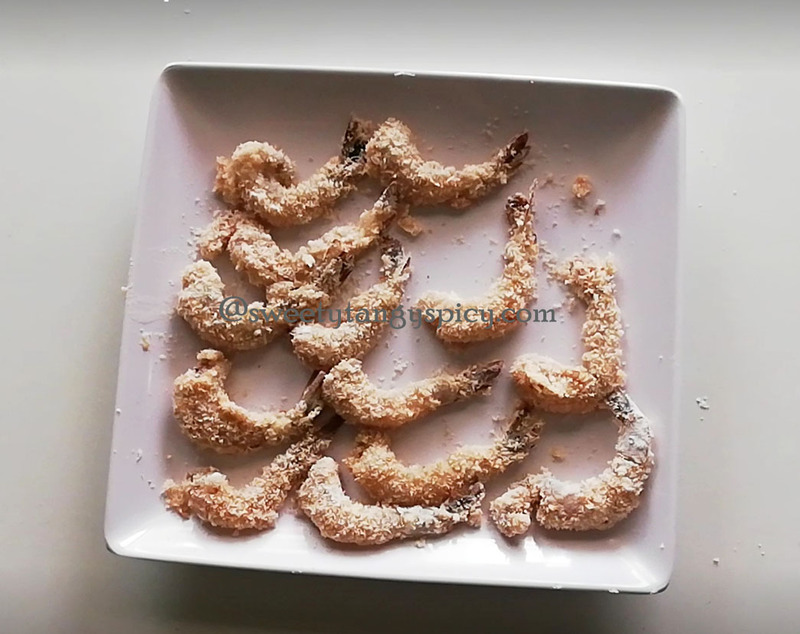 Butterfly crumbled prawns - as the name indicates, these are the deep fried prawns with crumb coating. 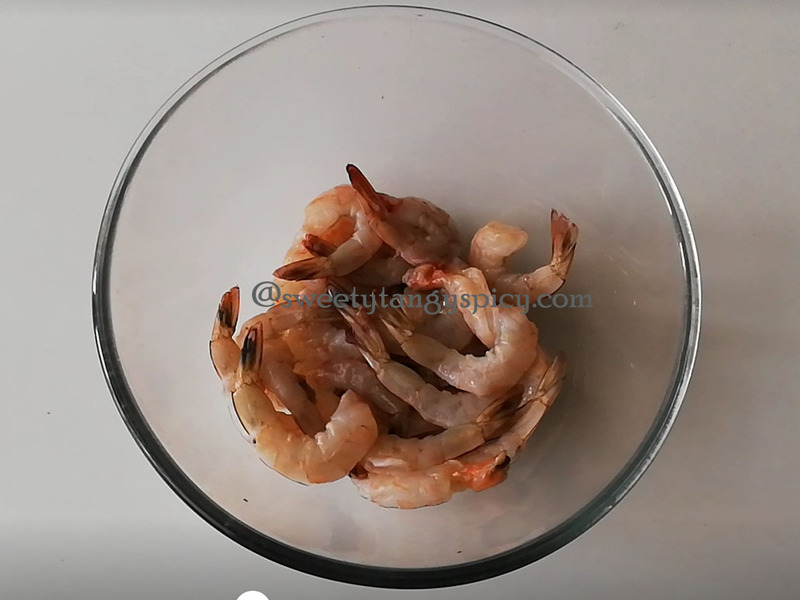 It is a really easy dish, only the laborious process is that cleaning of fresh prawns, If you get it cleaned, then we can make it in a jiffy. Here I removed the skin and head keeping the last tail segment intact. If you want to avoid the tail portion, no problem go ahead. But I need it not only good looking of dishes but also makes cooking easy and of course not difficult to eat. We are using fresh prawns in this recipe. 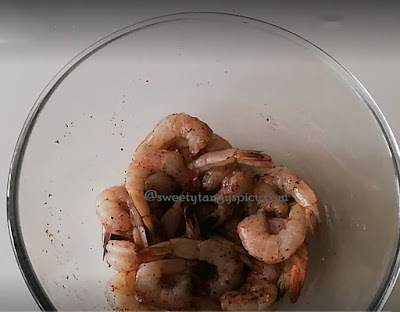 This prawns will be coated with crumbs before frying. It should be cooked perfectly while the crumb gets a nice golden color. So I would suggest you to keep the flame medium once the oil turns hot. 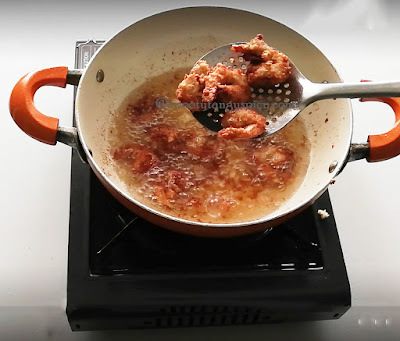 Before putting the prawns in the oil, please ensure that the prawns are coated well with crumb and oil is nice and hot. 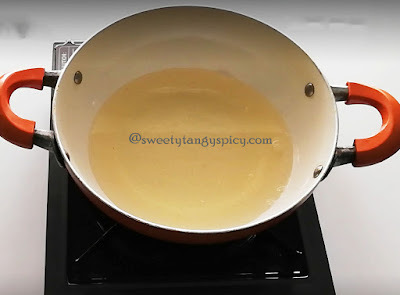 If the oil is not hot enough then the outer side gets brown, the inner side remains raw and if the oil is not hot enough, then the coating will release into the oil. So ensure it. 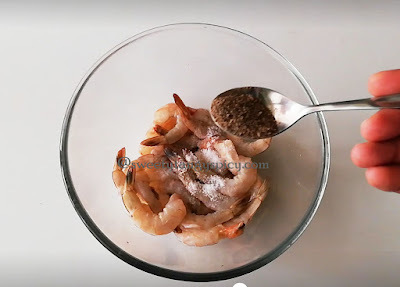 To make butterfly crumbled prawns, take good quality large sized prawns. Remove skin, head and legs, leaving the tail segment intact. Make a shallow cut on top and gently remove the digestive tract (The black thread like structure on the upper side.) Wash and keep aside. Break eggs and carefully separate egg whites from egg yolk and keep aside. 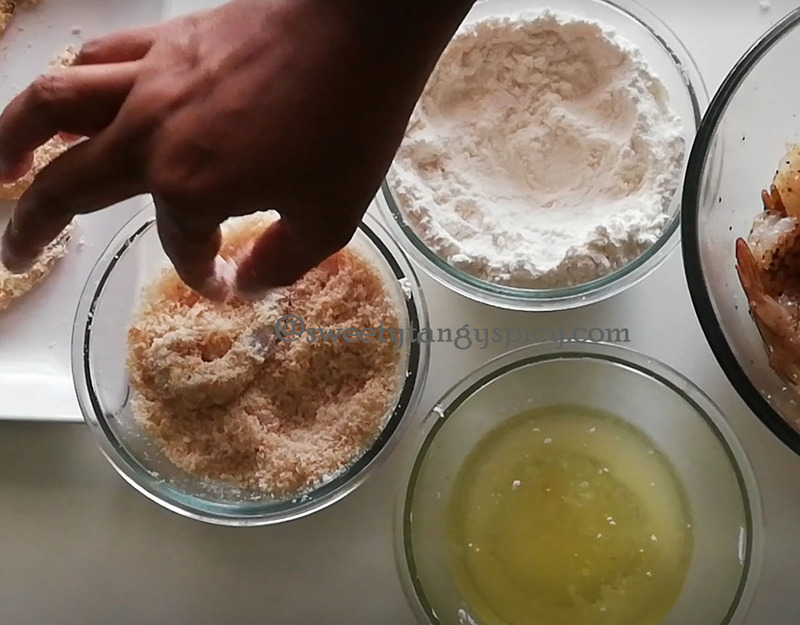 Take bread crumbs, all purpose flour in separate bowls. To marinate prawns, take prawns in a bowl, and put pepper powder and salt to your taste. Mix well and keep aside for 10 minutes. After the resting time, coat each prawn separately with all purpose flour / maida. Make sure that all the prawn are completely covered with flour. Then dip in egg whites and take out immediately. Finally, roll in bread crumbs. Gently press with your hands and coat entire surface. Repeat this with each and every prawns. Keep aside. Meanwhile, heat oil in a kadai for deep frying. Once the oil turn hot, reduce the flame to medium. This oil should not be smoking hot. Put prawns in the oil one by one. The oil will start to sizzle as soon as you add prawns. Fry till they turn golden brown. 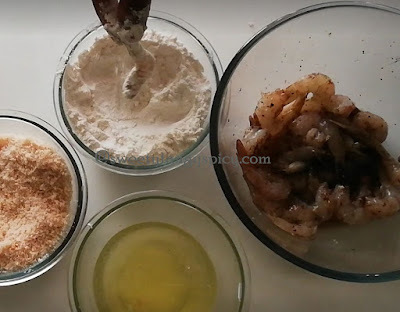 By this time, the prawns should be cooked well and the bread crumbs should not burnt. 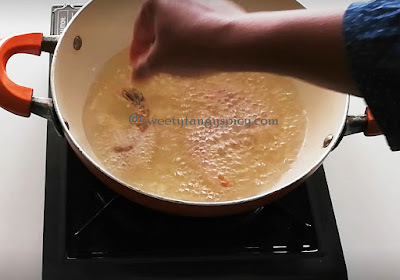 You have to gently turn it in between and make sure all the sides browned uniformly. 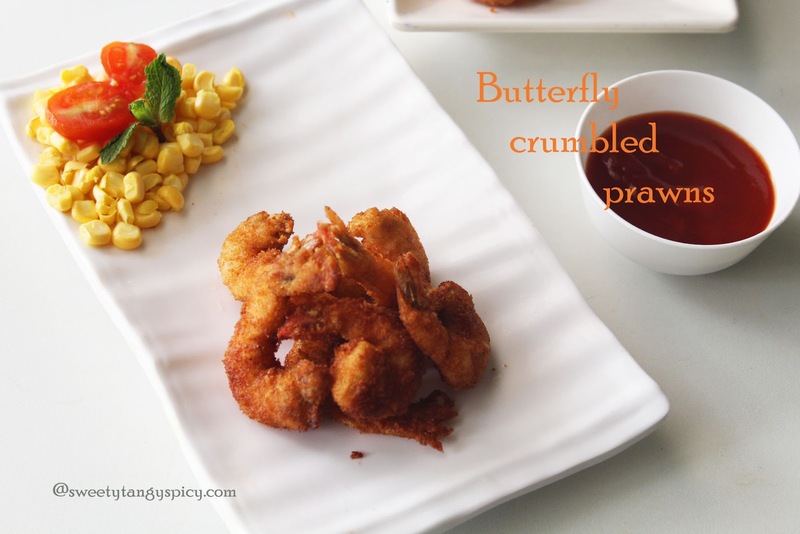 Butterfly crumbled prawns are now ready. 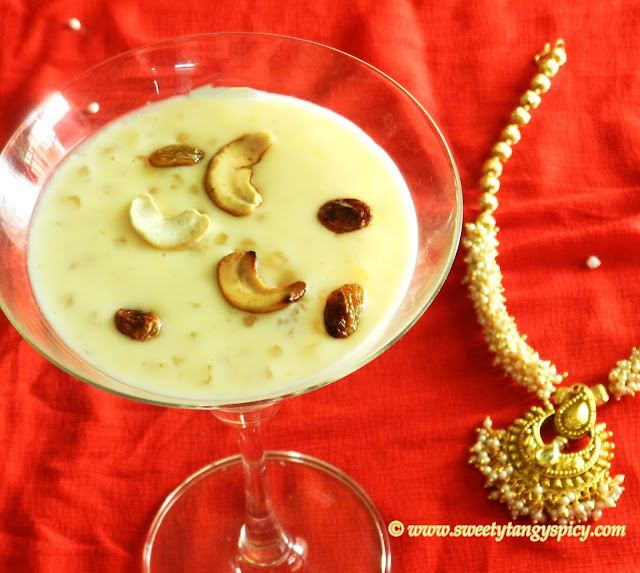 Serve hot and enjoy.